Welcome to the Sweet Old Relics website!! 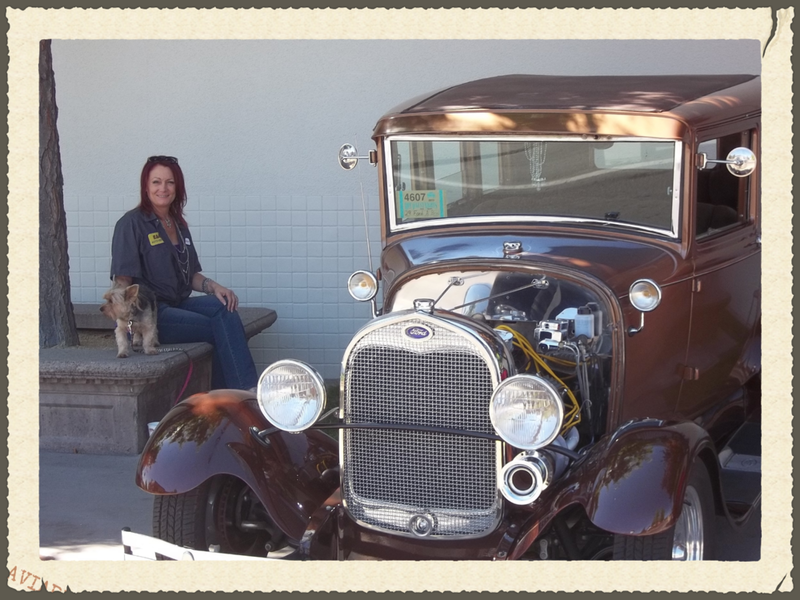 I am Julz, the little Yorkie is Chevelle and my 1929 Ford Model A Town Sedan Coupe named The Mobster! I am a purveyor of all this old! I love the hunt for fabulous treasures found at any thrift store, garage sale or flea market. My passion for antiques, vintage and tattered old treasures adds unique and different ways to incorporate them into home decor. I first started selling part time on Ebay in 2003. At that time my husband and I both worked full time and had two kids still at home and it was a way to make a little extra money. I would sell random classic car parts, old motorcycle parts and odds and ends. Yes, car parts... Since my husband owns a body and paint shop he would bring home items. In my spare time I would clean them up and list them on Ebay. However I really wanted to get into the antique and vintage wares. Years went by and the kids grew up, life got a little easier and I was able to work part time. Which allowed me to pursue my real passion. Being no newcomer to thrift stores, yard sales and flea markets, I started going more frequently and buying for resell as well as for my own collections.